Simon & Schuster, 9781451691672, 368pp. Tag along on this New York Times bestselling “witty, entertaining romp” (The New York Times Book Review) as Eric Winer travels the world, from Athens to Silicon Valley—and back through history, too—to show how creative genius flourishes in specific places at specific times. 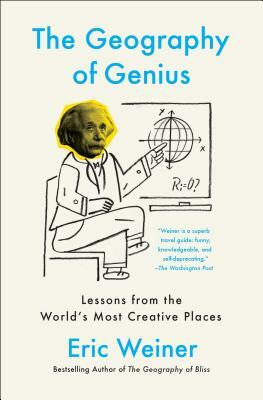 “Fun and thought provoking” (Miami Herald), The Geography of Genius reevaluates the importance of culture in nurturing creativity and “offers a practical map for how we can all become a bit more inventive” (Adam Grant, author of Originals).